What are Katalogetics? - READY... SET... QUESTION! Jesus Christ claimed to be the ultimate, objective TRUTH and that HE can be found. Yet, we live in a post-Christian society that has become overly confident in false pretenses. Few people look beyond their own subjective opinions; failing to ask, seek, and knock. Pop-culture is bursting with ideas and philosophies that have blocked folks from the desire to ask for the reasons for which we have hope in Christ. Church communities must adopt apologetics into the training and equipping of the saints. The 1 Peter approach to “always being ready” is the best way to answer the questions being asked. Biblical apologetics is focused on studying evidence that supports a reasonable faith in Jesus, but its effectiveness tends to be limited only to those who are sincerely asking for such reasons, and what if no one is asking? What if people do not value scripture or the evidence supporting it? What if you are never being asked to share the reasons you have to hope for in Christ? In fact, what if you are being told to be quiet? Could this be happening because our society is so confident in ideas that are completely opposed to the knowledge of God? Would apologetics become more effective if these roadblocks were removed and folks, once again, began to ask, seek, and knock? identifies and tenderly dismantles confidence in false pretenses that oppose the knowledge and Truth of Jesus Christ. As Christians, we must confront ideas that are in oblate contrast to KINGDOM TRUTHS. In doing so, we create instability within the foundation of worldly ideas and false pretenses crumble, confidence wanes, and a vacuum of understanding forms. The hearts and minds of those who had previously accepted Christ-opposing ideas are now seeking to fill the void. Tearing down subjective opinion and pop-culture philosophies causes people to ask, seek, and knock. Once katalogetics has reasonably demolished a false pretense for someone, they are like tilled soil ready and waiting for apologetics to plant the seed. Yet, please remember that katalogetics is a loving approach to demolishing pretenses that stand against the ultimate Truth of Christ, and should not be confused with aggressive or war-like polemic arguments. Polemic arguments are made between human ideas that are contradictory of each other. In fact, individuals engaged in polemic argumentation could be in support of human ideas that are untrue and be attempting to dismantle an actual truth. For example, an Atheist, Muslim, or Jew could use a polemic argument to try and dismantle the idea of Christ’s divinity. A baker could use a polemic argument to dismantle the idea of using gluten-free flour. Polemics are generic and not concerned with the truth of the argument nor the character of the individuals making such arguments. Katalogetics is unique to Christianity and is an approach that tenderly dismantles arguments and pretenses that stand against the knowledge of God. A faithful katalogist is deeply concerned with gently dismantling arguments and pretenses that oppose the truth and knowledge of Jesus Christ, while doing so with the utmost level of gentleness and respect. WHAT IS THE ETYMOLOGY OF KATALOGETICS? 2 Corinthians 10:5 – We demolish (kathaireō) arguments and every pretension that sets itself up against the knowledge of God, and we take captive every thought to make it obedient to Christ. – to take down, without the notion of violence: to detach from the cross, one crucified. – with the use of force: to throw down, cast down – to pull down, demolish. – the subtle reasonings (of opponents) likened to a fortress, i.e. to refute, to destroy. – according to, toward, along. – to choose by vote, elect to office. Although “kathaireō” is a word that communicates destruction, we must remember to take heed to 1 Peter 3:15 and carry out katalogetics with gentleness and respect. Our goal is to lead folks to Jesus and we must remember that building relationships through love furthers the future effectiveness of apologetics. 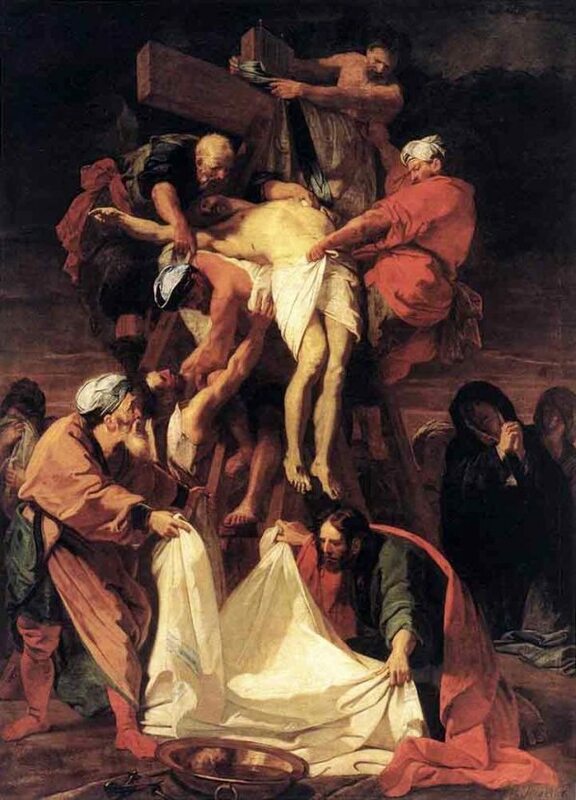 Interestingly, the word “kathaireō” was used to describe the gentleness and respect Joseph of Arimathea took in taking down the crucified body of Christ. Mark 15:46 – So Joseph bought some linen cloth, took down (kathaireō) the body, wrapped it in the linen, and placed it in a tomb cut out of rock. Then he rolled a stone against the entrance of the tomb. 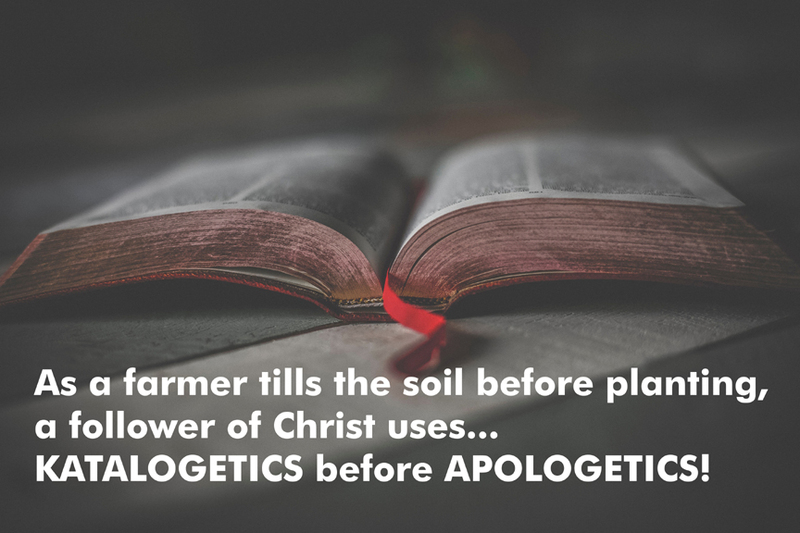 As a farmer tills the soil before planting, a follower of Christ uses KATALOGETICS before APOLOGETICS! Previous PostWhat are the Major Problems with Theistic Evolution?Next PostWhat stands against the knowledge of God? Hello Willie: Jim Monroe from Truth Conference, Pensacola. This was a fantastic read. “Katalogetics”, wow! Keep on fighting the good fight my brother. Your 1, 2, and 6 are fine, it seems to me. Your 5 is true, but trivially so, as one cannot, by sheer force of logic, know something false anyway. At most, you can only believe a falsehood. I think you should revise the rest of the list though. Your 3 is self-defeating, since it’s not itself found in Scripture, and so fails to meet its own truth-conditions. Your 4 would have one committing the genetic fallacy, since the truth of a claim is logically independent of where it comes from. 3 and 4 each would also have the problem of ruling out an enormous number of truths as being in opposition to the knowledge of God–truths of math, for instance. Or my belief that I had eggs for breakfast. Or your knowledge of how to blog in HTML (assuming you do). Or the permissibility of using email. Or extra-biblical arguments for the existence of God (e.g., the arguments of natural theology). None of these are found in the Bible. In fact, I’d argue that 3 and 4 themselves, while no doubt well-intended, are claims that, if adhered to consistently, because they rule out knowledge (even knowledge of God! ), actually are among those things that stand in opposition to knowledge of God. Thank you for helping out and making this article stronger. You raised some great points that helped me find areas of ambiguity that needed to be replaced by specificity.